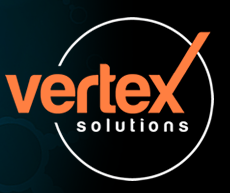 Vertex Solutions are working with a banking client who's HQ is based in London. They are working on a key project as part of their digital part of their transformation. (Banking experience is not required but nice to have). You'll work as part of a new squad, delivering one of the businesses most exciting confidential projects. We're looking for capable individuals to help this transformation and see the project from the research stage to deployment. This will be a long-term assignment for the right individual, minimum 6 months with a strong possibility of further extensions. Flexible budget and quick onboarding process! For further information and immediate consideration for interview, please don't hesitate to contact Lewis Forsyth on l.forsyth @ vertex-solutions.com. Vertex will design a talent attraction solution that is tailored to your needs. Our solutions encompass contracts, contingency, project teams and search and selection. We are an incredibly agile business, enabling service delivery that is not run-of-the-mill.